So, this hoppened (see what I did there?). Fat Mike of famed NOFX teamed up with (and apparently caused disruption for) the Stone Brewing company. 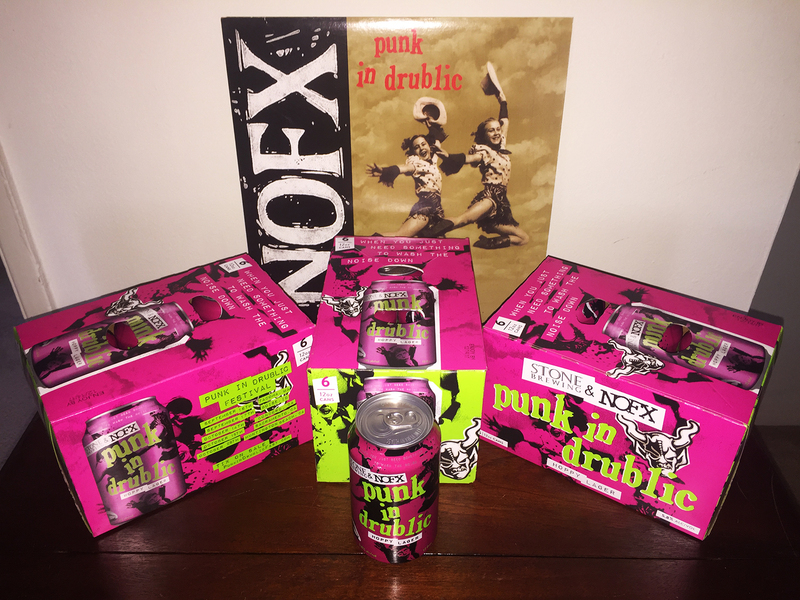 Labeled as a “hoppy lager,” Punk in Drublic was (very) recently released in the Southern California area to promote a punk all-start / craft brew tour of the same name (Punk in Drublic… NOFX’s fifth studio album released back in 1994). If you can find it, GET IT! Not so much for the taste, but for the pure awesomeness that is this reality. Cheers.